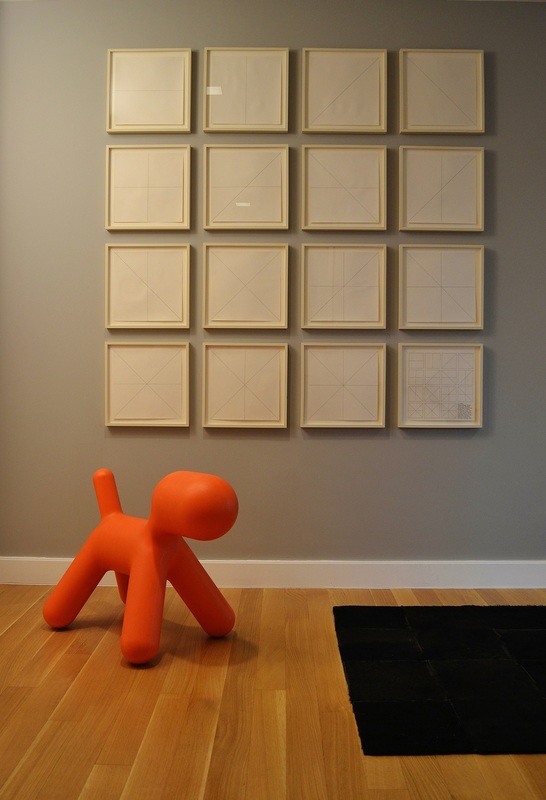 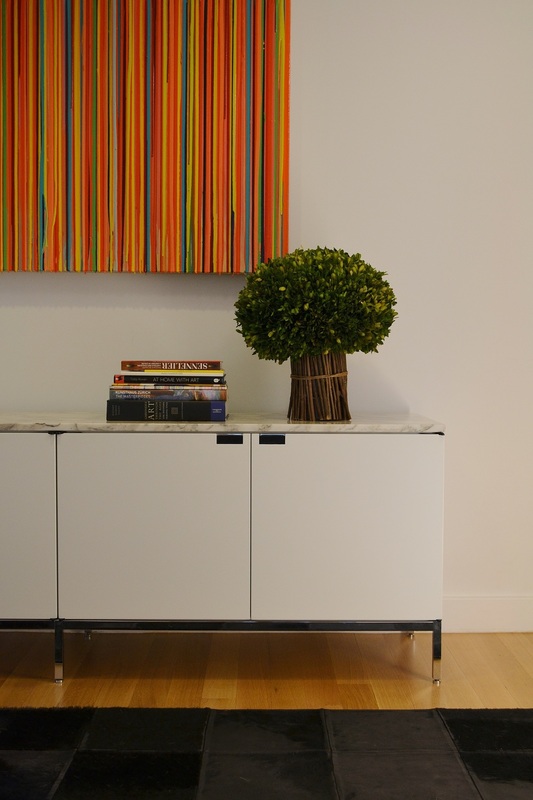 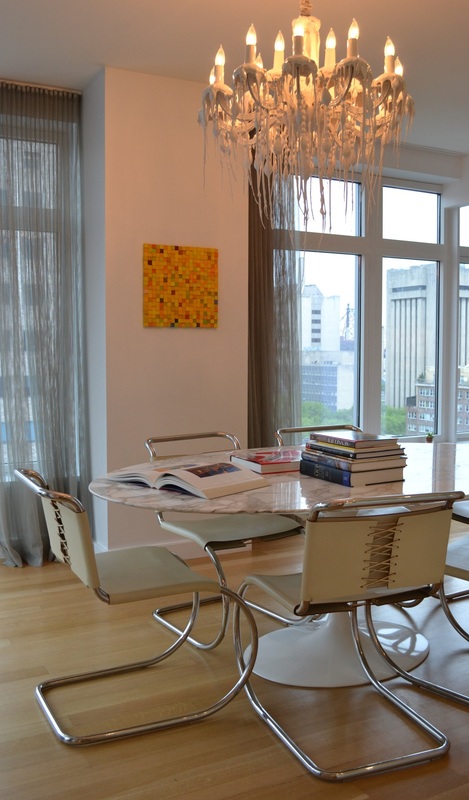 Art collector couple with growing family downsizes to Manhattan high-rise. 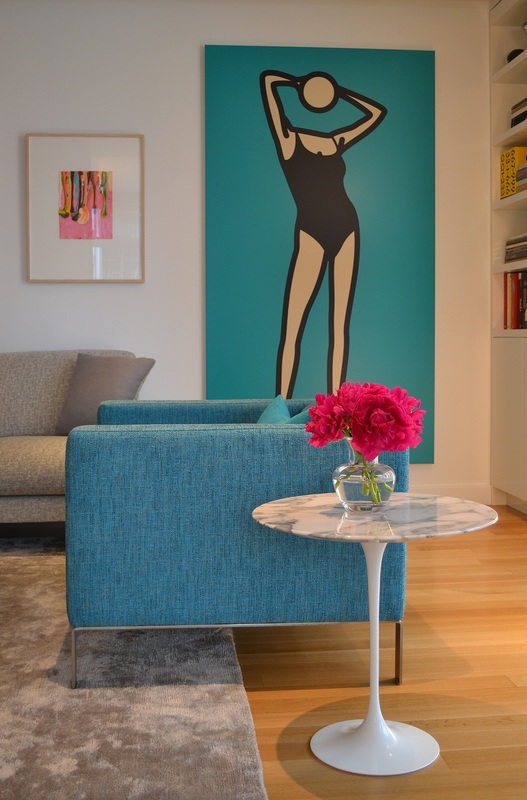 steve + filip complimented the impressive art collection with bold bright colors and patterns, which play off neutral backdrops for a POP art effect. 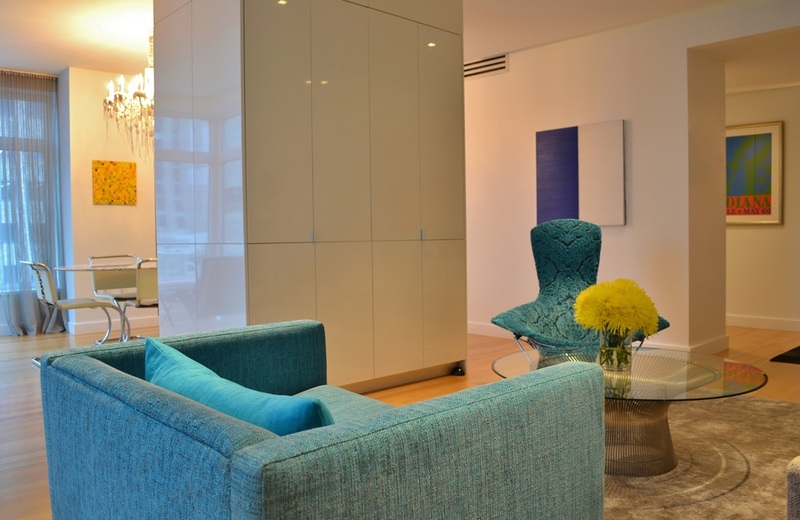 Multi-tasking lacquered built-ins work to preserve a clean layout for the smaller square foot condo and maximize the illusion of space.